Provide comfort for the family of Jacqueline Lees with a meaningful gesture of sympathy. Jacqueline E.R. Lees passed away the morning of March 7th 2019, surrounded by her family at Providence Hospice Center. She was 91.Memorial service will be held March 16th at 11AM in the Chapel at Woodway United Methodist Church. Jackie was born September 21,1927 to Elsie and LT. Commander Evelyn Leppan of the Royal Navy, in Weymouth Dorset England. She had a wonderful childhood playing and riding their horses through the woods with her friends and three siblings. Jackie had a excellent education at Lambspark School for girls and after graduating attended the prestigious College of Nursing The Norland Institute in Pembridge Square. Jackie was given charge of many children over the years and was brought to America on the Queen Mary in 1951 by the Colonial Attache for the British Embassy in Washington DC. In 1954 she met Robert Lees and they were married June 12th. In 1956 their daughter Melody was born. They moved to Michigan as Bob had taken a job with Audio Equipment Company.1961 their second daughter Wendy was born. Jackie was devoted to her family and was a excellent wife and mother. Jackie excelled in cooking and gardening. She loved to make ceramics and made hundreds of flower arrangements for their church. In 1983 they moved to Waco and enjoyed the RV club and extensive traveling abroad. Jackie loved being a grandmother "Mimi" to her 6 grandchildren.They lived in their own home until they were both 90 being married for almost 65 years. She was preceded in death by her parents Elsie and Evelyn Leppan,brothers James and Stanley Leppan and sister Unity Feldmesser, granddaughter Chelsea Millard. Jackie is survived by husband Bob Lees,daughter Melody Lees , daughter Wendy Nelson, Son in law Douglas Nelson, Grand sons Justin and Joshua Millard, Grand daughters Ariana and Ivana Holtsendorff and Mei Lin Lees. 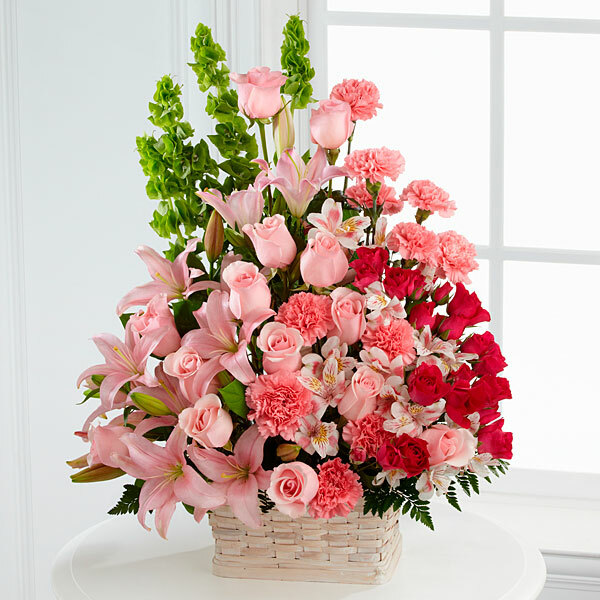 To send flowers in memory of Jacqueline Edith Ruth Lees (Leppan), please visit our Heartfelt Sympathies Store. Robert & Ann Johnson sent flowers to the family of Jacqueline Edith Ruth Lees (Leppan). My condolences to the Lees family during this difficult time. In the Bible, Jehovah God gives us hope. Acts 24:15 says, “there is going to be a resurrection of both the righteous and the unrighteous.” Revelation 21:4 says, “and he will wipe out every tear from their eyes and death will be no more.” Very soon we will see the fulfillment of these promises here on Earth. We hope you find comfort in God’s promises. Robert & Ann Johnson purchased flowers for the family of Jacqueline Lees.